Aluminum Metals Co., LLC was founded in 2003 when two highly successful companies were merged to form one dynamic aluminum corporation. Located in Elkhart, IN, we are minutes from the I-80/I-90 Toll Road. In 2014 Aluminum Metals Company, LLC (“AMC”), purchased the assets of Elixir Industries, Division 42, also located in Elkhart. The combination of these two great companies gives us a strong presence in the Marine, Cargo, and Recreational Vehicle markets along with the bus industry. 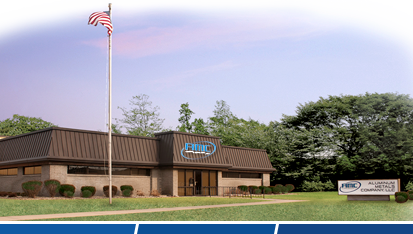 Since its inception, AMC has continued to expand offering aluminum in: coil, fabricated sheet, roofing, and extrusion. Our extrusion warehouse not only offers a complete line of standard and specialty shapes, but is also capable of offering custom aluminum shapes in various finishes and colors to service a wide variety of markets. With upgrades in equipment, AMC is continuously improving its ability to respond to shorter lead times and assure prompt deliveries of quality aluminum products to customers. As an industry leader, AMC adheres to the highest quality standards and continues to strive for excellence to grow and diversify; putting customer service and satisfaction first. We look forward to better serving your needs. Contact us today to explore solutions to your aluminum needs! We are a member of the National Association of Trailer Manufacturers.